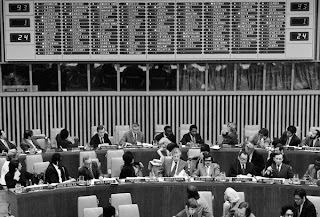 ... 1976 (35 years ago today), the Convention on the Suppression and Punishment of the Crime of Apartheid entered into force fewer than 3 years after its adoption by the U.N. General Assembly. 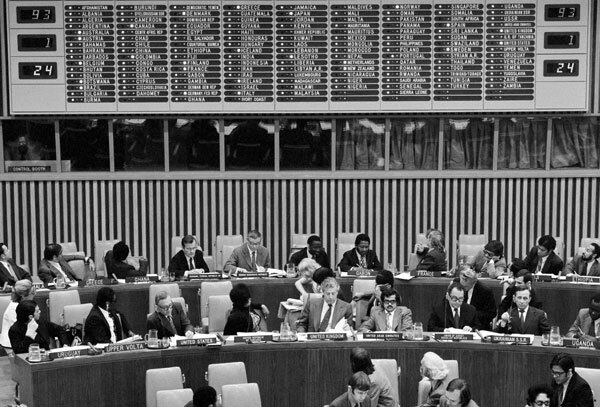 (credit for October 26, 1973, U.N. photo of General Assembly vote) The multilateral treaty, to which 107 states now are parties, proclaims apartheid, systematized racial segregation and discrimination as practiced in pre-1990s South Africa, to be a crime against humanity. Additionally, "inhuman acts resulting from the policies and practices of apartheid and similar policies and practices of racial segregation and discrimination" are declared to be international crimes. It contemplates that an international criminal court would adjudicate these offenses; however, no such special court ever was established.